Just by Honda’s mere reputation alone as the world’s No. 1 motorcycle manufacturer since 1959, any product that comes out of the company’s assembly plants anywhere in the world is sure to draw attention and generate enthusiasm in their respective local markets. The New Generation BeAT-FI eSP Series would be no different at all from the historic and long list of motorcycle and scooter lines that Honda has introduced and brought to the world. Daiki Mihara, President of Honda Philippines, Inc., is confident of the potentials of the New Generation BeAT-FI eSP Series in the local scooter market. “The New Generation BeAT-FI eSP Series is a reflection of Honda Philippines’ continued commitment to provide powerful, safe, fun, and worthwhile driving experience to the growing market of Filipino scooter enthusiasts,” Mihara pointed out. 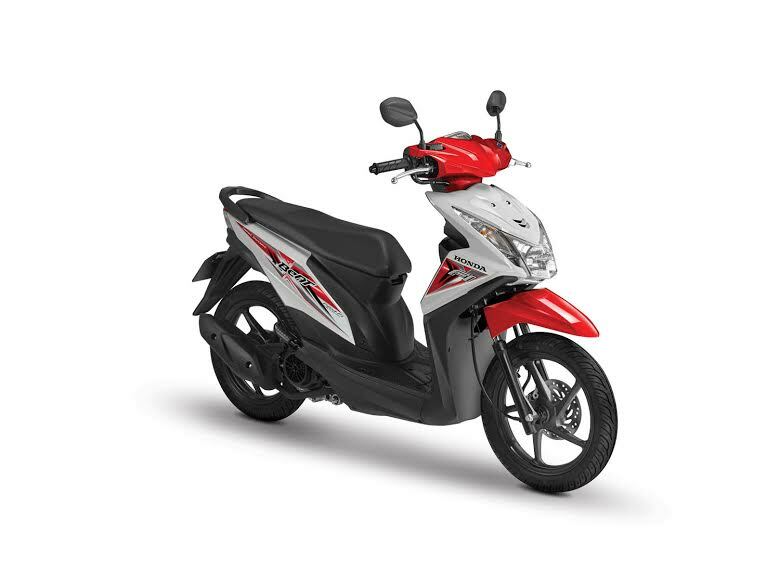 According to Elie Salamangkit Jr., Product Planning Manager of Honda Philippines, the New Generation BeAT-FI eSP Series is banking on its class-leading fuel efficiency, the Honda exclusive and industry-pioneering technology, stylish and sporty design, better utility, and affordability that is expected to strongly appeal to a wider market base, to immediately make its mark in the local scooter market. So what is the Honda Smart Technology and how did it become industry leading and pioneering? The Honda Smart Technology actually has three main features – the eSP, the ISS, and the Combi-Brake System (CBS). feature known as the Idling Stop System (ISS). Under the eSP, there are many technological features including the Honda-exclusive ACG Starter, the PGM-FI, the CVT, among others. With the use of the ACG or alternating current generator starter-type system, there is no reduction gears and gear meshing noises thus ensuring smooth and quiet start. The PGM-FI is a technology pioneered by Honda since the introduction of the Honda CX500 Turbo in 1982, the world’s first fuel-injected motorcycle. It is programmed fuel injection which ensures higher fuel efficiency, power and torque while keeping emission low. CVT is continuous variable transmission which has become a norm in modern scooters. It allows for intelligent low friction and vibration. The ISS feature of the Honda Smart Technology is another Honda exclusive and the first-of-its-kind in motorcycle application. The ISS automatically switches off the engine of the scooter during brief stops and thus saves fuel. The conventional idling of other scooters and motorcycles is that they continue to consume fuel even on idle mode. The rider also does not need to restart the scooter on ISS as he just needs to twist the throttle and the engine is automatically switched on again in less than a second. The Combi-Brake System (CBS) is the feature that delivers controllability, convenience, and the sense of confidence for the rider because the technology in the scooter gives it the optimum braking power while reducing nosedive, which is very common in many scooters and motorcycles. Because the technology enables the application of the right amount of brake power on both wheels of the scooter, shortest stopping distance when braking can be achieved. that will come out of Honda to follow.